INSIDER : My 10 favorite creative craft books because sometimes you just need some beautiful inspiration to get those creative juices flowing! I am a crafter through and through. There have been seasons when I’ve crafted less and seasons where I have crafted more, but through full time work as a landscape architect, mommy-hood with young babies and now entering my blogging career, being creative with my hands has always been important to keep me (and my kiddos) sane. Today I am sharing my 10 favorite creative craft books with you because sometimes you just need some beautiful inspiration to get those creative juices flowing! 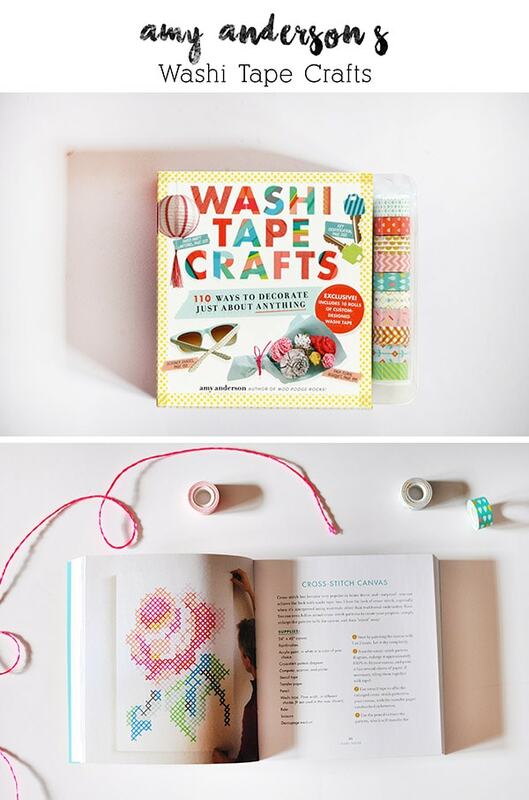 This adorable little book is chalked full of easy to create washi tape ideas. I love that it comes with 10 rolls of washi tape (all of which are really cute patterns). This is a great book for those of us veteran crafters but also great for the newer crafter, too. It has very clear simple step-by-step instructions and pictures. One of my favorite ideas was a gorgeous cross stitch canvas project! 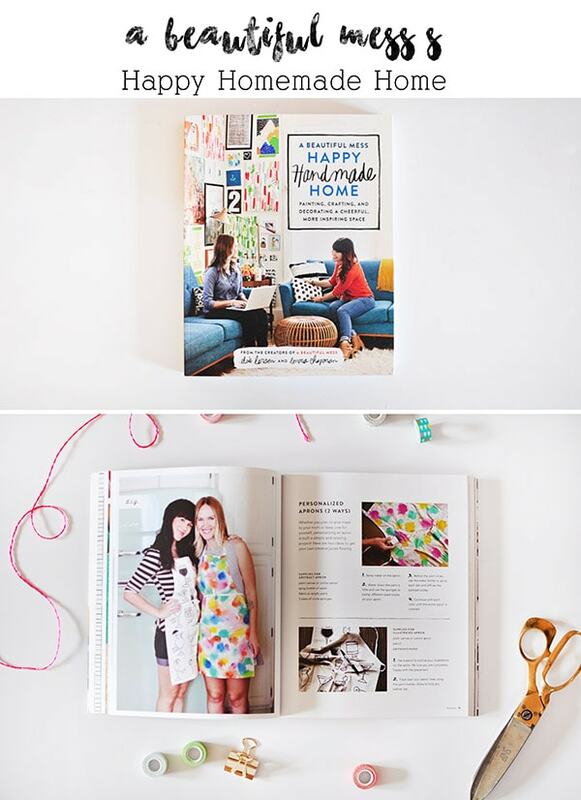 I think everyone loves washi tape and this book is quickly becoming one of my favorite books. I adore this cute book! The front cover caught my eye immediately and I knew it had to be mine. I opened a graphic print Etsy shop about 3 years ago and went through an enormous font and typography phase. It might have included Friday night viewing of Helvetica on Netflix. This gem of a book is an great inspirational collection of contemporary lettering for both design buffs and typography lovers. Oh Sherry + John! If you don’t know these two, then I’ve got to say you are missing out. Talk about fun bubbly creative people and to top it off, they are married! 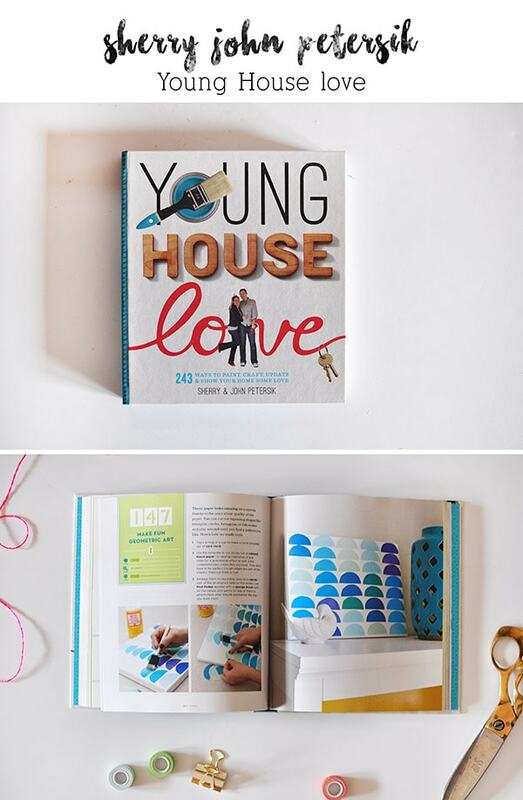 They had a rocking DIY blog for years and after the second kiddo came on the scene, decided it was time to explore new avenues… but it wasn’t before they took over the world with hardware sold at Target, fun hooks sold at Home Depot and this book from their two book series. This book came out in 2012 and I just might have preordered so I could get my copy pronto. 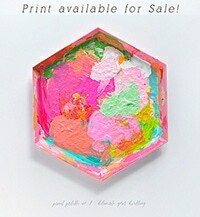 Full of fun quirky cute crafts and diy’s alike. 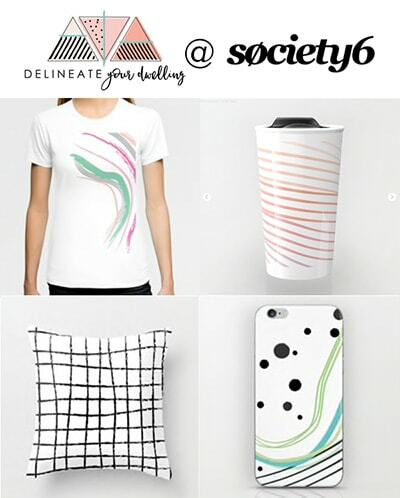 Brit + Co is an awesomely creative brand, created by Brit. She is young and hip and wrote this book for the modern homemaker in the digital age. She believes homemaking is still alive and well but now it’s more focused on crafting and creating beyond the home, in both the analog and digital worlds. This fun book is full of cooking advice in the kitchen to health and beauty tips in the bathroom. Simple, beautiful, and stylish. I bought this book right after we bought our first home (8+ years ago) and I love it just as much today! This book is really helpful for the first time buyer. There are tools for finding your style, keeping expenses under control, furniture layouts, etc. This book is like Pinterest in paper form. Goodness. I’m not sure I can say enough good things about this book. Myquillyn is the blogger behind The Nester and her effortless style and incredible eye for design on a major budget is displayed on nearly every page of this book! I’ve read this book probably four times since I was given it for Christmas last year. Her overarching theme in this book is “It doesn’t have to be Perfect to be Beautiful.” and it’s true of life, style and your home. A MUST read for anyone buying a home, renting a home, wanting to have a home, etc. It’s one of my favorites that talks about making a house YOUR home for the right reasons. I was given this book last year for Christmas and I LOVE it. 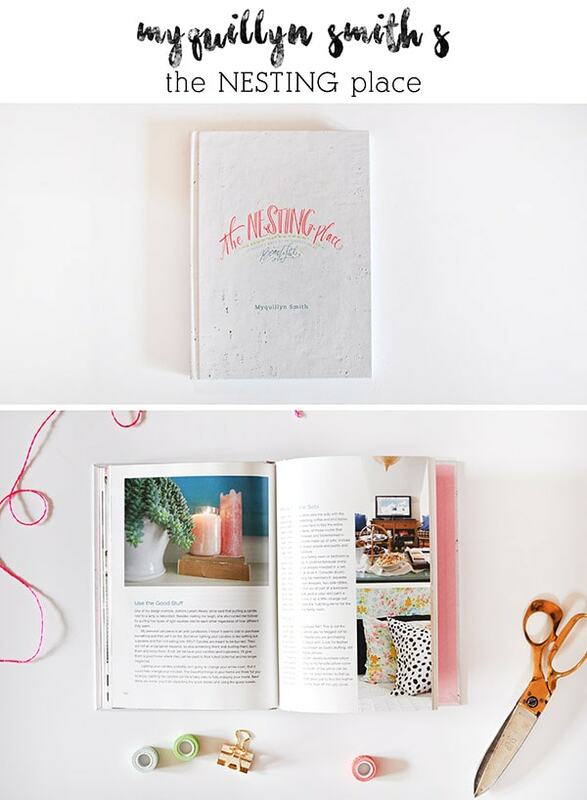 I love the creative sisters from A Beautiful Mess blog and was so thrilled when they came out with a book. 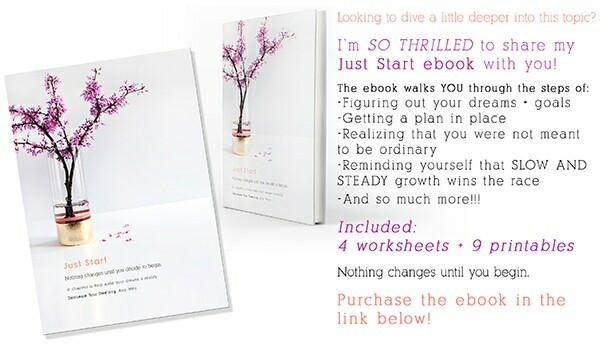 This book is the same style as their blog, modern, lots of bold colorful and always a unique twist on the everyday. 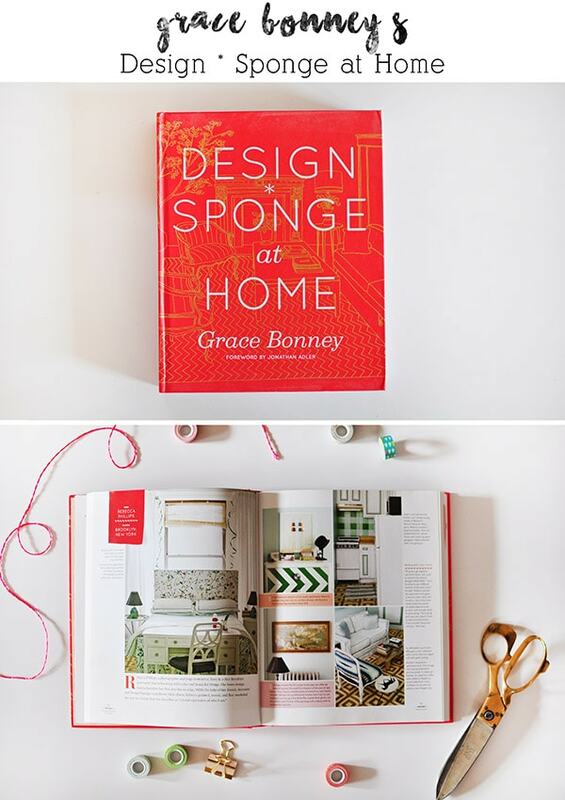 Grace is a creative guru and is the founder behind the famous Design Sponge blog (I just recently did a guest post for her – ah!!). This book shares that your home doesn’t have to be frumpy or formal, it can be comfy and unique and reflect who you are, no matter how small your budget or space. Front to back it’s full of home tours, diy projects and tons of before/after stories. It’s a staple for any creative interior designer out there. Ok, have you jumped on the chalkboard train yet? Not only are chalkboards and chalk lettering big in cafes and many restaurants, but tons of people are bringing chalkboards into their homes for seasonal displays, inspirational quotes and even just the weekly dinner menu (me!). 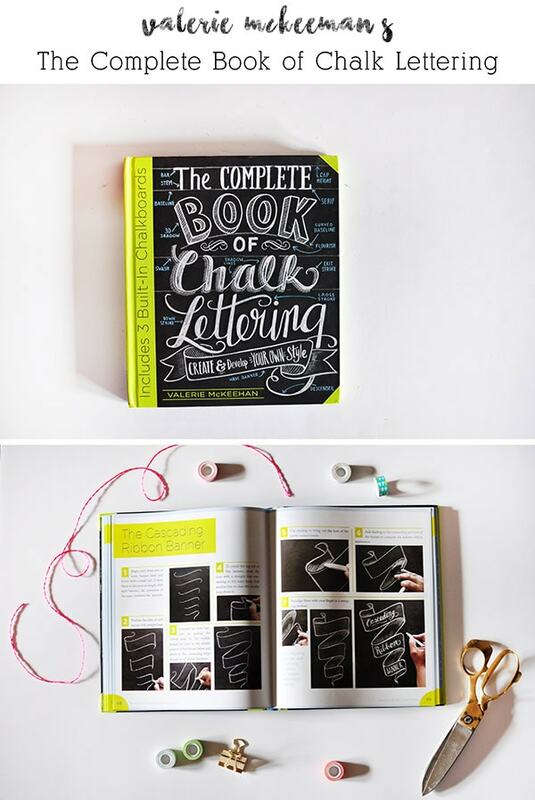 This book teaches everything you need to know to create stunning hand drawn chalk designs. And extra fun bonus, the inside covers in front and back of the book, foldout and are lined with chalkboard practice area – so fun, right? This is an oldie but still SUCH a goodie. It came out in 2009, but I just got it a few years ago. I mean it’s Martha, so you know it’s great quality ideas. 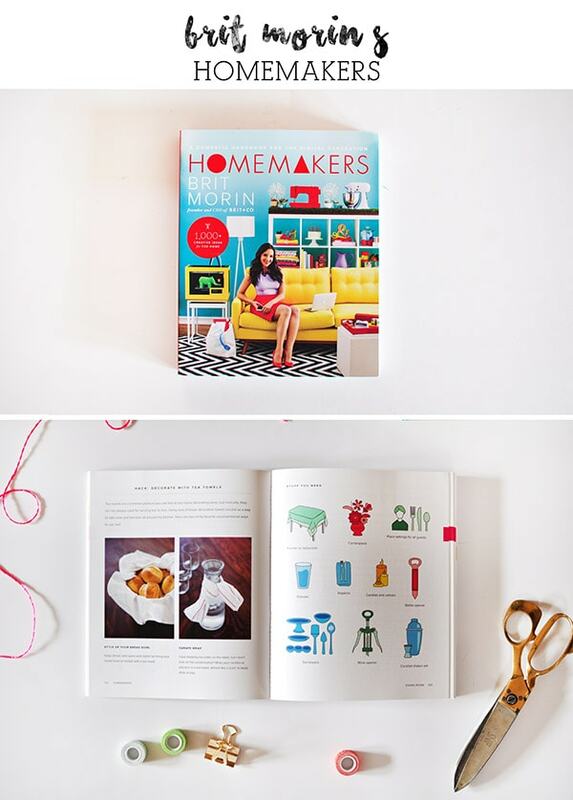 True to her brand, this book is full of colorful images and oodles of craft ideas. 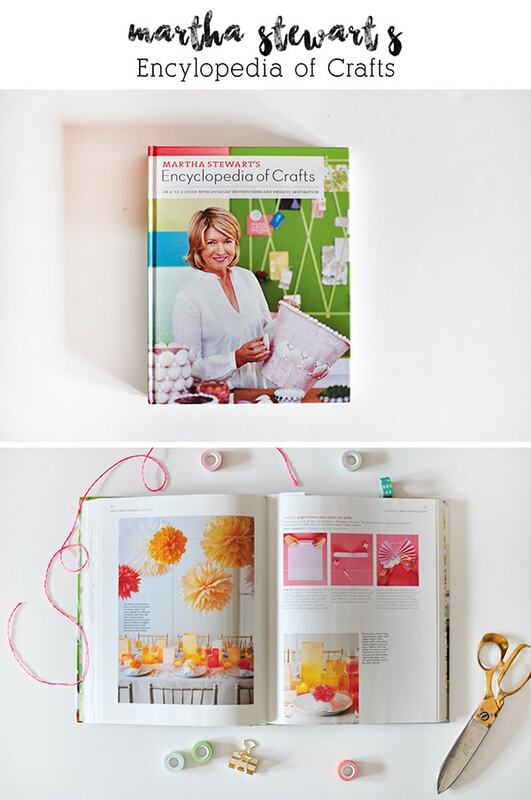 I could get lost in Martha crafts and this book just makes me happy looking through it. I’ve tried quite a few of her ideas and they always are amazing. Wow. Did you make it to the end of this post? So hopefully after all of that, you don’t think I’m crazy but I love books, I love crafting and I love beautiful ideas. These ten books are all must have in my mind. 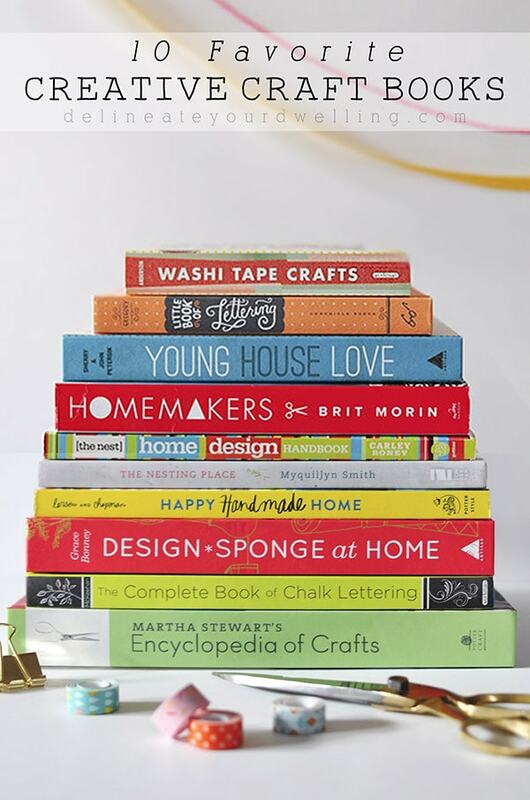 Do you have any other creative craft books I should check out? Christmas is coming up and I need to start making my list! Wow! There are so many good book choices, I am sharing this with our Facebook followers, I know there would be tons of interest for some of these. I want a couple myself (or all of them). Totally sending this to my hubby as he starts shopping for Christmas! Yay, they all are great books! I love these book suggestions! Thanks so much for sharing. My pleasure, Debbie! They all are such great fun books. Hope you enjoy! Such a great list, pinning this! You don’t know how much I love your books! 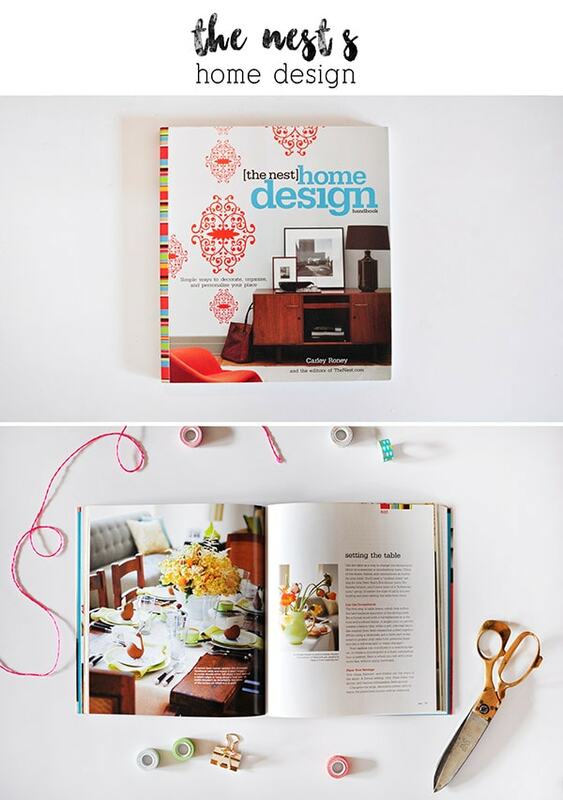 The Nest Home Design and Brit Morin’s Homemakers are on my top list. Where’d you get those? Thank you for this round up! Some of these just got added to my Christmas list! Awesome, Kate! I really love them all, hope you do, too. Great list!!! This post makes me want to close the computer and read through all of my craft books. I know, it’s so easy to just browse Pinterest sometimes… but I love having my favorites in paper form! Such a great collection! And I love how you’ve shown us a little peak into each one. It definitely makes me want to buy more craft books! Great list! 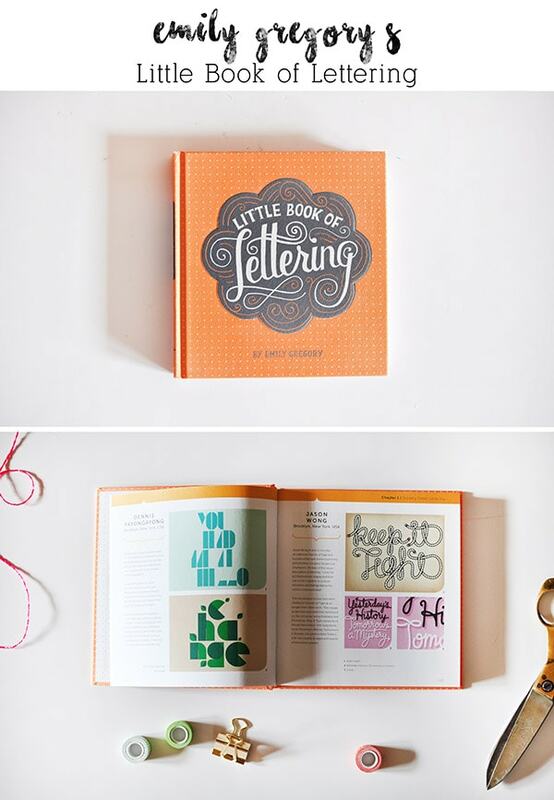 I love the lettering book and the chalkboard book! I will add them to my wish list!